Kevin Harvick started third and finished second, earning nine bonus points. Made scheduled, green-flag pit stop on lap 39 for four tires, fuel and a right-rear wedge adjustment. As pit stops cycled through, Harvick returned to third place by lap 68. With five laps to go in Stage 1, Harvick drove his No. 4 Busch Light Ford past Kyle Busch for second. At the conclusion of the stage, Harvick pitted for four tires and fuel, with the only adjustment being to tire pressures. Started fifth and finished fourth, earning seven bonus points. During round of pit stops following Stage 1, some drivers stayed out, some took two tires and some took four tires, jumbling the running order. Harvick climbed to third as caution waved on lap 111. Taking advantage of caution, Harvick pitted on lap 112 for right-side tires and fuel. Entire top-10 took two tires. “You’re not going to pass anybody on two tires,” said Harvick on lap 133 as he raced in fourth place. Upon the end of Stage 2, Harvick pitted for four tires and fuel, with a right-rear wedge adjustment. Started fourth and finished fifth. Caution on lap 208 sent everyone to pit road. Harvick took four tires and fuel, with the only adjustment being to tire pressures. Held track positon on pit road, but dropped to seventh on lap-215 restart. Harvick grabbed sixth-place from Erik Jones on lap 219 and then passed teammate Kurt Busch for fifth place on lap 246. Harvick keyed his microphone with 15 laps to go: “I hit the fence!” Still held on to fifth place through the checkered flag. This was Harvick’s 14th top-five and 15th top-10 finish of 2018. 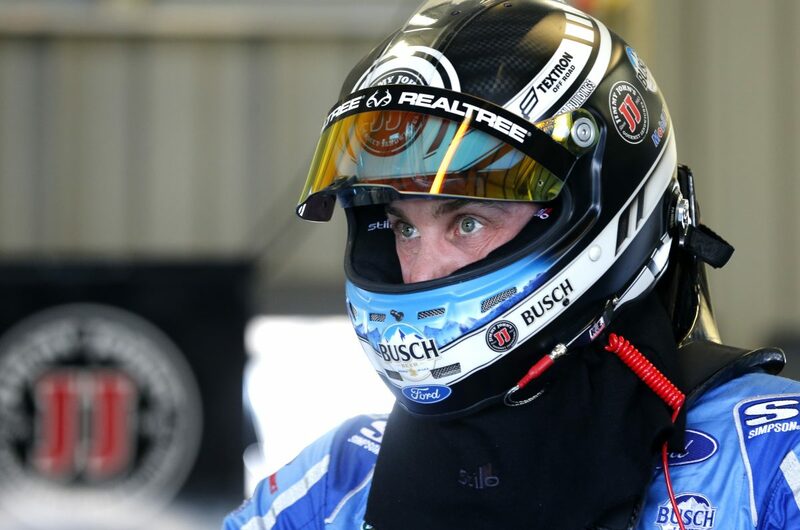 Harvick earned his first top-five in eight career Monster Energy NASCAR Cup Series starts at Kentucky. Harvick’s fifth-place drive in the Kentucky 400 marked his sixth straight top-10 finish at Kentucky. Twenty-one of the 39 drivers in the Kentucky 400 finished on the lead lap.